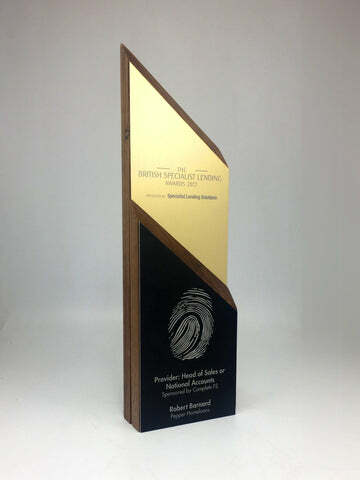 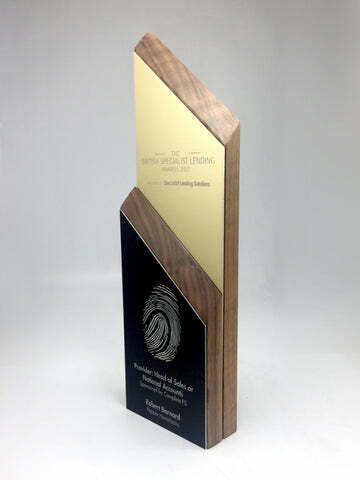 Designed and produced in house, this mixed media award is rather special. 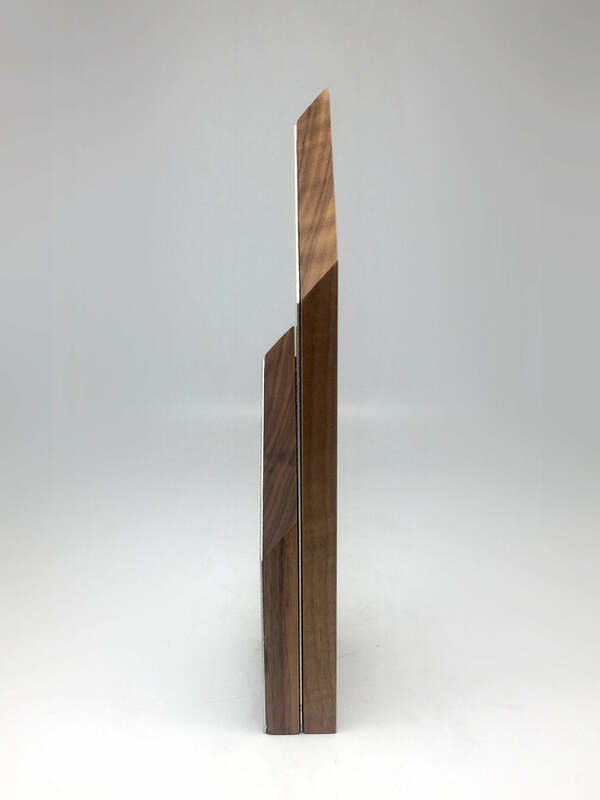 Made from FSC-approved walnut, the hand cut and finished body is treated with natural oil to produce a deep, rich colour and finish. 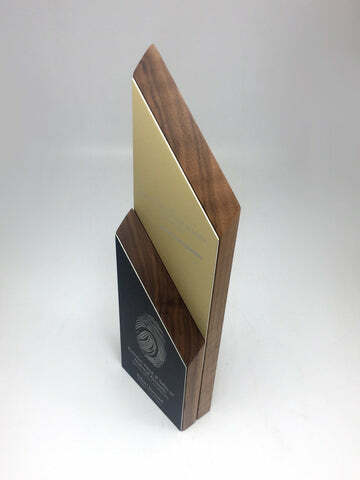 To add extra depth and tone to the award, black and gold aluminium is placed onto the body. Engraved and finished with custom graphics and lettering, the custom designed plaques create an on-brand award that is effective and clean.